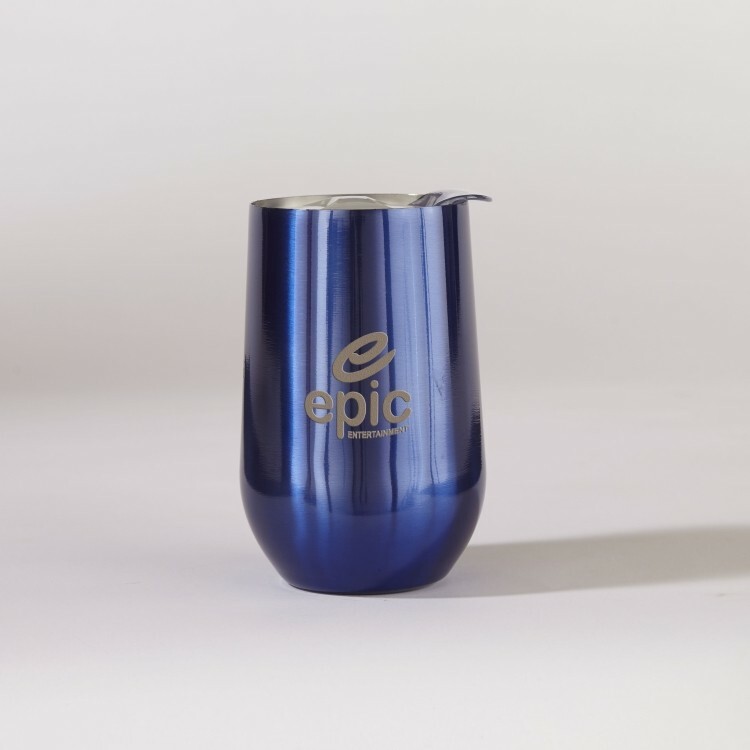 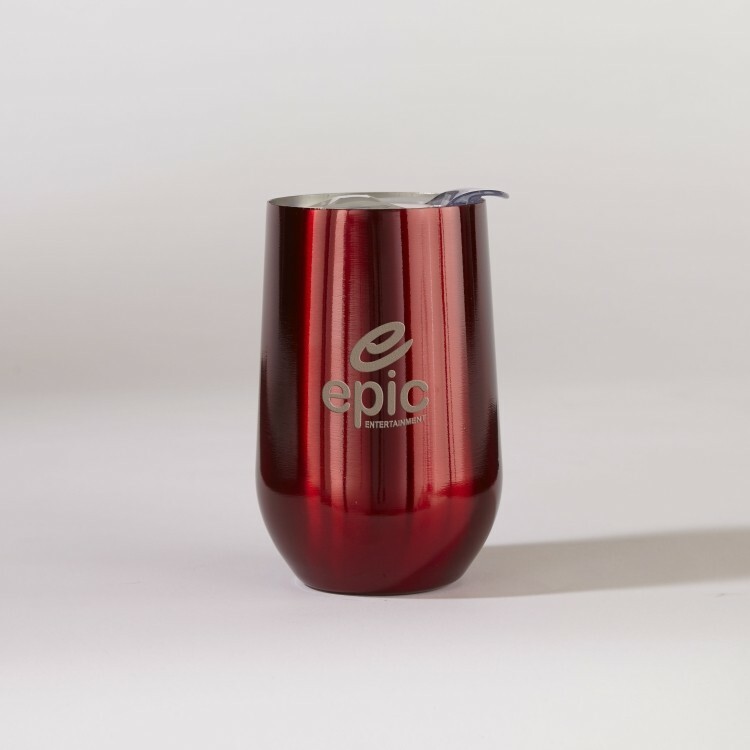 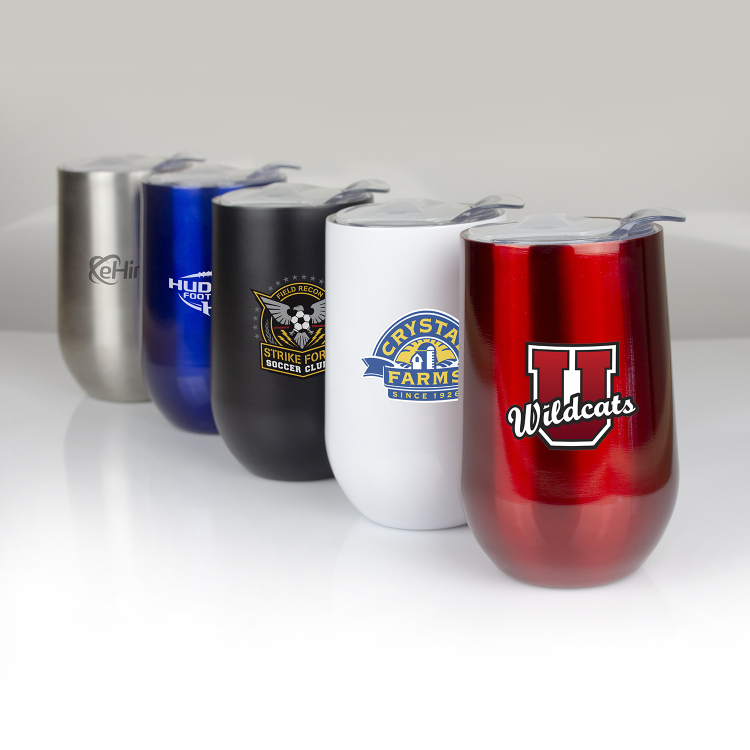 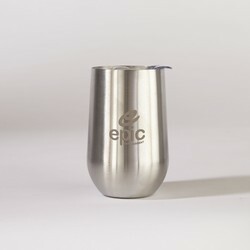 BPA free, this double wall stainless steel wine cup will quickly become one of your favorite drinking cups. It holds a generous 16 ounces. 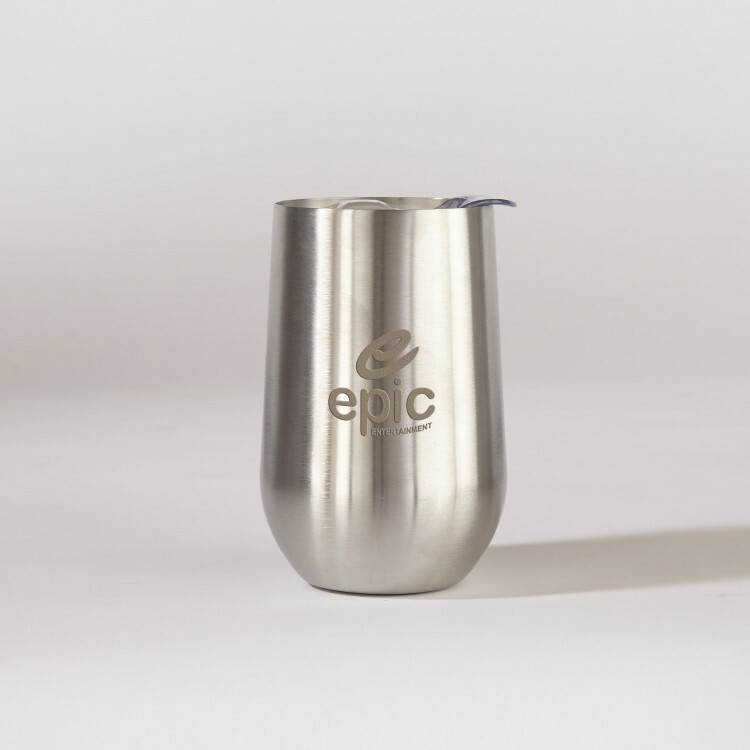 This item includes a sip lid to avoid spills and meets FDA requirements. 3.5" x 5.5" x 3.5"
Imprint Dimensions: 3" x 3".